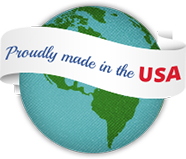 Established in 1968 to serve Wisconsin area industries with industrial sewing requirements, Custom Faberkin has developed into a worldwide supplier of quality-sewn products. Located in Fond du Lac, Wisconsin, Custom Faberkin is continually working with new and existing customers, developing and producing products used throughout the world. Custom Faberkin combines a formula of quality fabrics, dedicated stitchers and engineers, and enthusiastic customer service personnel to create a fresh and positive approach to each project. Whether supplying to global companies, superstores or to local job shops, each customer receives the individual attention that has made Custom Faberkin a leader in the industrial sewing market.